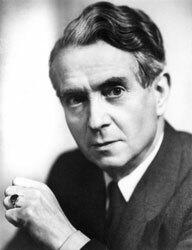 Following the death in October 2005 of Herbert Howells' daughter, Ursula, and in accordance with her wishes, the Herbert Howells Trust has been set up to be administered by St John's College, Cambridge where Howells was Organist during the Second World War. The Trust receives all royalties and performing rights dues previously received by Ursula Howells, and the Organist and Senior Bursar of the College have been appointed as her Literary Executors. The Trust, which will consult the Herbert Howells Society (set up at her instigation in 1987), exists to promote Howells' works, by supporting performances, research, publications, recordings, archives at the Royal College of Music and other means. It also exists to give financial support for the music of the College, including the Choir, organ, and the musical education of the choristers. The ex-officio Literary Executors are the Senior Bursar and Director of Music of St John's College (currently Mr Christopher Ewbank and Mr Andrew Nethsingha).